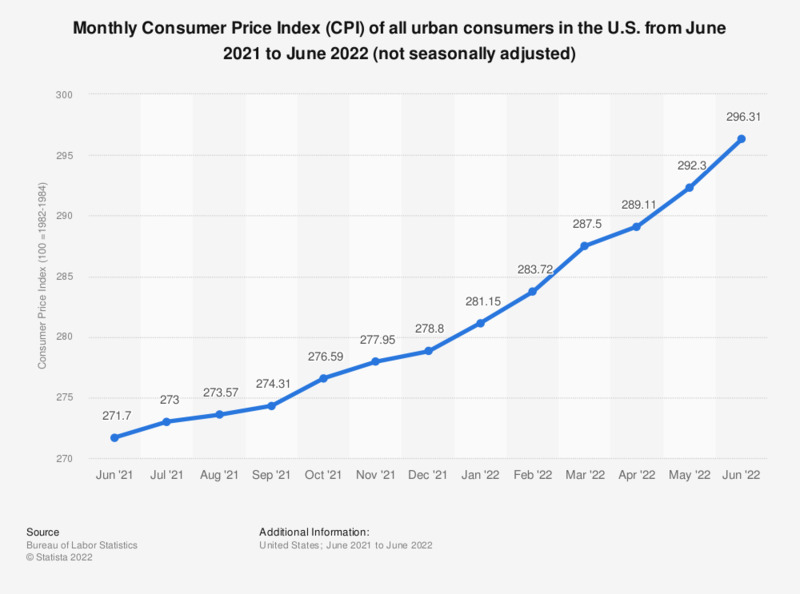 This statistic shows the consumer price index for urban consumers in the United States from March 2018 to March 2019. The data represents U.S. city averages. The base period was 1982-84=100. The CPI is defined by the United States Bureau of Labor Statistics as "a measure of the average change over time in the prices paid by urban consumers for a market basket of consumer goods and services". In March 2019, the unadjusted CPI amounted to about 254.2. The annual consumer price index for urban consumers in the U.S. can be accessed here. The Consumer Price Index (CPI) began in 1919 under the Bureau of Labor Statistics and is published every month. The CPI for all urban consumers includes urban households in Metropolitan Statistical Areas and regions with over 2,500 inhabitants, as well as non-farm consumers living in rural regions. This index was established in 1978 and includes about 80 percent of the U.S. population. The monthly CPI of urban consumers in the United States increased from 249.55 in March 2018 to 254.2 in March 2019. For these consumers, CPI can also differ between regions, with a high of 265.14 in the Northeastern region as of 2018. The CPI in the United States has increased steadily over the past two decades from 140.3 in 1992 to 251.11 in 2018. A forecast of the CPI expects this positive trend to continue, reaching 279.71 by 2023. As of March 2019, the CPI of the nation’s education had increased by 3.2 percent. In March 2019, costs of recreation, rent, housing, medical care, and food & beverages had increased but prices for gasoline and personal computers had decreased. Comparatively, the CPI in Hong Kong reached 104.5 in 2017.